Once connected, the A or B LED on Oasis Plus will light up and keep steady on. To confirm this, please turn off your Bluetooth device and see whether the A or B LED on Oasis Plus is gone. Make sure Oasis plus show the correct audio input mode (AUX / OPT). Make sure your cable is connected to "TX Input / From TV " jack at the back of Oasis Plus. Please check whether you have one of these three ports. Oasis Plus works well with any of these three types. Digital / Optical Output (Fig 1.) - Correct! Red / white RCA ports marked as Output (Fig 2.) - Correct! Headphone jack /AUX out (Fig 3.) - Correct! Red / White RCA ports with NO mark of Output (Fig 4 / 5.) - Wrong! Fig 1. Fig 2. Fig 3. Fig 4. NOTE: If you watch internet programs like Netflix, Hulu, Amazon prime, etc., audio signal WILL NOT go through CABLE BOX. Please plug Oasis Plus on TV. Make sure you change your TV audio OUT setting to "External Speakers" (if using RCA Audio OUT ) or "Headset" (if using AUX/3.5mm OUT). Note : Plug a wired ear buds into the TV headphone jack or RCA audio out (via an adapter), check if you can hear sound. If no sound, then the TV is not outputing the right signal now. 1)Ensure your TV audio format is set to “PCM” or "DOLBY/DTS" is OFF. For how to, refer to How to set TV Audio Format/PCM. If you have other TV models, you can google "TV Brand, TV model, audio output". Or you can contact TV manufacture for reliable support. Check the contact info at the end. 2) Change your TV audio OUT setting to “External Speaker” or "Audio out/optical". Go into the program such as Netflix and adjust the audio settings to export with PCM. 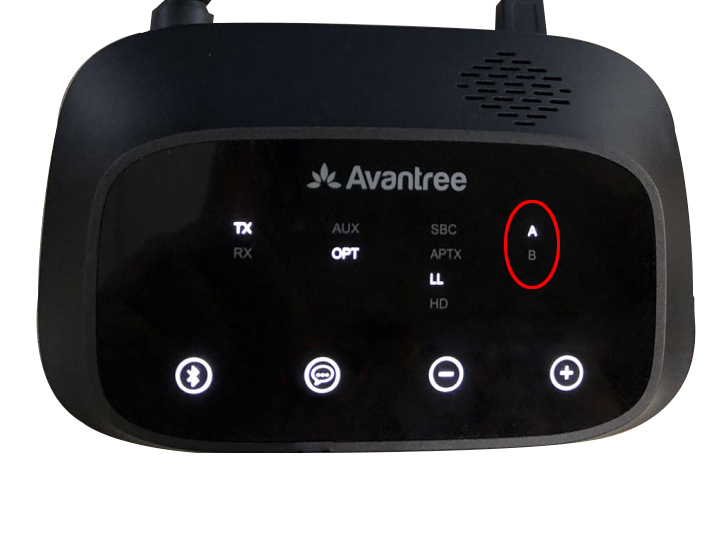 If possible, change to AUX or RCA connection.